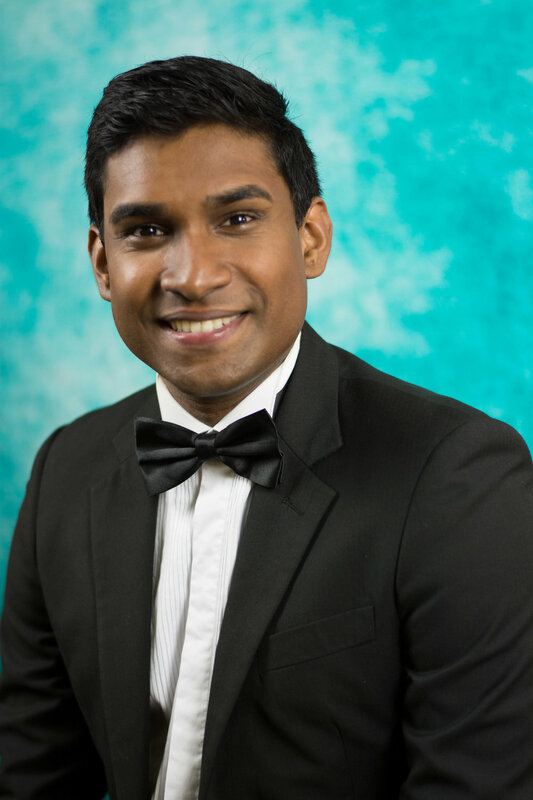 Beginning his musical journey at the age of thirteen as a percussionist in the Yu Hua Secondary School Concert Band, Alvin Arumugam joined the Singapore Wind Symphony two years later. His association with this ensemble then gave him the opportunity to perform at events such as the ASEAN Pacific and Directors Association conference in the Sydney Opera House. In 1999, while studying in Catholic Junior College, he led the formation of the Catholic Junior College Symphonic Band. Upon graduation, Alvin went on to serve in the Singapore Armed Forces Band as its concert master. Under the tutelage of Mr. Jin Ta, the Principal Flute of the Singapore Symphony Orchestra, he obtained a Diploma from the Associate Board of the Royal Schools of Music in flute performance. He has also attended master classes by Shigeneri Kudo, Principal Flute Tokyo Philharmonic Orchestra to further his mastery of the instrument. Having attended several conducting conventions, including an International Conducting masterclass in 2008 by Maestro Douglas Bostock, Alvin also has extensive experience in conducting and band pedagogy, complementing his expertise in flute performance. Alvin is the current resident conductor of the Clementi Town Secondary School, Saint Margaret’s Secondary School and Anglo-Chinese Junior College Symphonic Bands. His bands have constantly performed well in the biennial Singapore Youth Festival Central Judging for Concert Bands in the past decade, notably leading both the Catholic Junior College Symphonic Band and Anderson Junior College Symphonic Band to clinch the only two Gold with Honours awards in the Junior College category in 2009. Internationally, his musical direction has also steered the Anderson Junior College Symphonic Band to attain the 2nd prize in the open division of the 2nd Australian Yamaha National Band Competition in 2008. 2014 has also seen the Presbyterian High School Band and Anglo-Chinese Junior College Band being awarded with the overall Champion in the 1st and Open Division of the Singapore International Band Festival respectively under his baton. In 2016 he was one of 2 conductors selected to represent Singapore in the World Music Contest Conducting Masterclass and Competition to be held in 2017. As of 2016, he has assumed directorship of The Young Musicians’ Foundation Orchestra and is also pursuing the Master of Music (Conducting) program at the Yong Siew Toh Conservatory of Music.